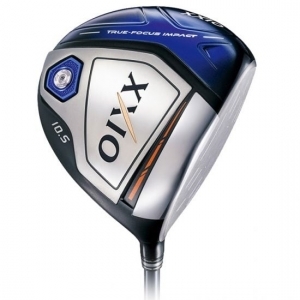 The XXIO 10 Driver represents the next generation of lightweight driver head design. This advanced all titanium driver is light, fast and very stable. A lighter shaft with a higher balance point challenged our own unique Miyazaki shaft design. The generous usage of the most advanced available technologies make it our most precise piece of equipment ever. Superior performance from lower swing speedsThe XXIO 10 Driver represents the next generation of lightweight driver head design. This advanced all titanium driver is light, fast and very stable. A lighter shaft with a higher balance point challenged our own unique Miyazaki shaft design. The generous usage of the most advanced available technologies make it our most precise piece of equipment ever.